Some of us call the itch to put pen to paper (or fingers to computer) a hobby. For others, like my friend who’s a corporate writer, writing is a business. Many, if not most, writers fit into my category, which is a bit different. We write to make money, but we don’t make enough green stuff to quit our day jobs. The same voice kicks in when I tackle other non-writing projects. This summer, I helped our daughter plan her fall wedding, played hostess to summer visitors, took on a new volunteer responsibility, and traveled. I also fielded contractor questions and made color, fixture and dimension decisions as workers remodeled a small area of our home. While all that fun activity was going on, I formed a marketing plan to launch my latest book, Winds of Freedom, which I thought would debut in June. And then it was July. Finally, all the pieces fell into place in August. But now that it’s early autumn and additional duties have kicked in, I don’t have time to hit the marketing hard or write. Yet, God is in control, and time is in his hands. He has a plan for me and for the book—and for you. Psalm 138:8a says the Lord will work out his plans for our lives. Several psalms tell of God’s delight in the details of our daily steps. He even rejoices over us with singing (Zephaniah 3:17). Rebecca Carey Lyles grew up in Wyoming, the setting for her Kate Neilson novels. 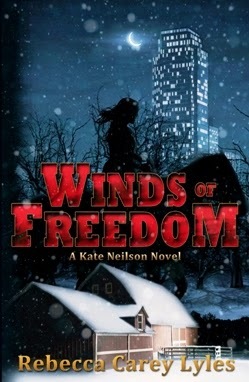 She currently lives in Idaho, where she serves as an editor and a mentor for aspiring authors and as a coach for women transitioning from prison to life on “the outside.” Winds of Freedom is the sequel to the award-winning first book in the Kate Neilson series, Winds of Wyoming. 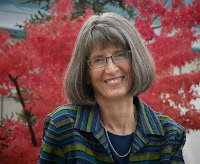 Learn more at www.beckylyles.com. Winter storms blast across the Whispering Pines Guest Ranch, and a cold wind blows through Kate Neilson’s soul. Despite her pain, Kate’s well-being takes a backseat to the needs of loved ones: her best friend, who’s been ensnared by evil; her failing great-aunt, whose dementia care keeps Kate guessing; and Laura and Mike Duncan, whose ranch and livelihood are threatened by a land-grabbing neighbor. Congrats on your daughter's wedding and on welcoming a son-in-law into your family. Wishing you much success for WINDS OF FREEDOM! As you know, Peter, we just keep putting one step in front of the other. At the wedding, a couple who'd been married 51 years said the key is to "stay the course," which could also be said for writing and publishing. Very encouraging. I just love that last verse. I agree, Heather. Such a cool verse! We'd love to hear your thoughts! Please leave comments. We'll moderate and post them! Click on image above to receive Seriously Write weekdays (and occasional special offers on Saturdays) in your Inbox.